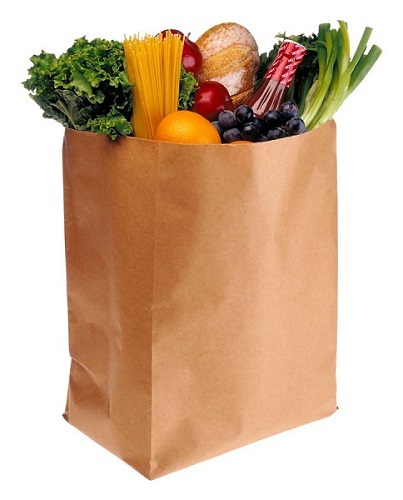 Shopping smarter has reduced our weekly grocery bill from about $150 to around $40. We had routinely spent $100 on “stuff” before purchasing any actual food. It was foolish and proved we needed a better approach. Identify what is needed, not wanted. We do not need the latest DVD at the checkout. We need to eat. We need staples such as rice, flour, sugar, vegetables, milk, cleaning materials, hygiene products, and some meat to get through the week. We get the promotions from our local stores e-mailed and snail-mailed to us. If at all possible, we let the specials and promotions drive our shopping list. It is crucial to do the math when comparing specials; the stores certainly do the math before offering them. Work out the per-unit prices and compare them to normal prices; the answer may surprise you. About 90% of the offers we receive represent equal or worse value to normal prices or are for things we don’t need. Special offer! 3 apples for $1! The everyday price for identical apples at a competitor is 30 cents per apple. The special at store “A” is therefore not as good value as everyday prices at store “B”. Source coupons for the items you plan to purchase. Coupons can be obtained online, in newspapers, via social media, and by asking manufacturers to send you some. Some stores will double coupons on certain days. Try and go to the store on those days! It is important to understand the stores’ coupon policies, some our more generous than others. If you are not using coupons, you are subsidizing those that do. Treat coupons as money, they can save you a bundle. Make a final, detailed list of your necessary items based on the special offers and coupons you have sourced. If possible, write your list so that it takes you through the shop in a quick, systematic way. This will reduce your exposure to tempting but unnecessary offers, other people’s screaming children, arguing couples, and those people that seem fascinated with blocking an entire lane as they peruse various brands of sugar filled water and flavored noodles. When you draw up your list, take into consideration all your available discounts. Student, senior, and military discounts are common; remember to ask for them at the checkout. If you don’t ask, you probably won’t get. Some stores charge for grocery bags, to avoid this pitfall recycle old bags or use permanent bags. Do not be afraid to take your money where the market leads you. Supermarkets are always competing with each other for your business. Reward the one(s) that give you the best deal that week. If you have time, consider hitting more than one store to get the bet deals you can. When you can get an unbeatable deal that is really, really, great be sure to stock up on the item. Buying ahead can save you a fortune in the long run. If a store offers a loyalty program, sign-up for it. Do that for all the stores you frequent. They will often discount goods further with members’ only savings in return for you sharing with them your buying habits. Use your savings for your next vacation! 0 Responses to "How To: 8 Ways to Save Money on Groceries by Shopping Smarter"